Evidence suggests that being physically active in combination with a healthy diet contributes to diminish colorectal cancer risk. However, if this is true for colorectal cancer primary prevention, the same is not clear for its recurrence after colorectal cancer treatments. Data on cancer survival are scarce, and there is a need for greater attention on these survivors’ lifestyle behavior. This manuscript describes rationale and design of the Cancer Survival Study (CASUS) on colorectal patients, a longitudinal observational study with the aim of investigating how physical activity, physical fitness, and dietary intake are related with their quality of life, disease recurrence, and survival. 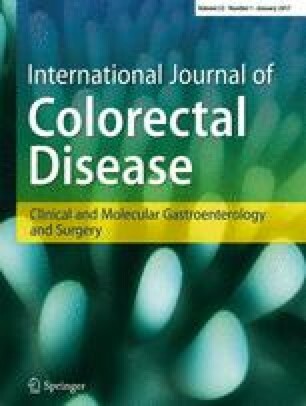 The CASUS on colorectal patients is a longitudinal cohort study on colorectal survivors, aged 18 years or older, recruited 6, 12, and 24 months after surgery. Upon recruitment, patients fill in a battery of questionnaires about physical activity, dietary intake, and quality of life, donate blood samples, do physical fitness tests, and use an accelerometer during 7 days. Repeated analyses will be performed to assess changes over time in physical activity, physical fitness, dietary intake, and other factors in relation to recurrence and survival. Results will contribute to highlight the role of physical activity, physical fitness, and nutrition in the quality of life of colorectal cancer survivors, recurrence, and survival. This study will provide important information for policymakers on the potential benefits of future physical activity and nutritional interventions, which are inexpensive, as a way to improve general health of colorectal cancer survivors. Luisa Soares-Miranda is supported by the grant SFRH/BPD/76947/2011 funded by FCT (QREN-POPH-Type 4.1-Advanced Training, subsidized by the European Social Fund and national funds of MEC), PTDC/DES/099018/2008-FCT/FCOMP-01-0124-FEDER-009573, and the Research Centre in Physical Activity Health and Leisure is supported by FCT: UID/DTP/00617/2013. Carla Costa is supported by the grant SFRH/BPD/96196/2013, funded by FCT (QREN-POPH-Type 4.1-Advanced Training, subsidized by the European Social Fund and national funds of MEC).